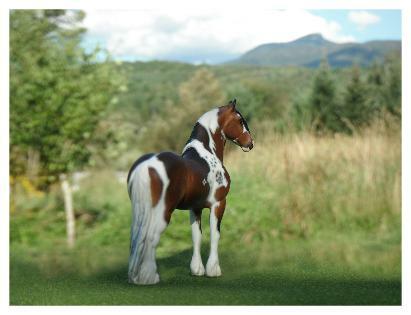 Mystic Meadows Stables is home to over 200 model horses, including a large collection of OF Breyers. In conjunction with Nature Heart Studio, a growing herd of beautiful hand-painted custom and resin model horses are lovingly born here through Vermont artist Karen J. Lloyd. "Camelot" bay pinto Eberl mini Nugget resin painted by Karen J. Lloyd, 2014 NAN Top Ten winner. NAN 2013: I completed painting 11 horses in time to qualify for the Nationals. All 11 double-qualified for Breed & Workmanship at Region 10 shows. Six then went on to win an astounding 9 Top Ten's at Harrisburg! Having horses that won NAN Top Ten's for both their classes was very rewarding as a newly emerging artist. 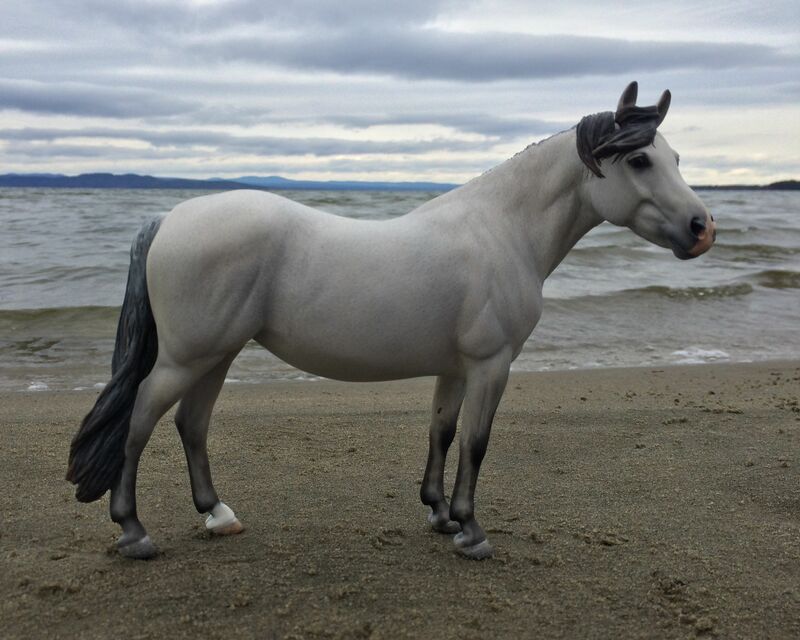 Mystic Meadows began in Mystic, Connecticut in 1992 with the arrival of Breyer's Chincoteague ponies, Misty and Stormy. You may remember us from our original internet home on Angelfire during the 90's. The "stable" is now based in Winooski, Vermont and herd members can sometimes be seen at Region 10 live shows. In 2011, my primary focus migrated from OFs as I began experimenting with pastels, breathing new life into both Breyers and artist resins. Declared an “artist to watch” by Jennifer Buxton in her November 2014 blog article Braymere Custom Saddlery: TRXC Resin Workmanship, I am always striving to create art that evokes emotion in others. My high quality finish-work, known for life-like realism and a distinctive "sweet-faced" style, is meticulously painted using artist-grade pastels, acrylics and pencils. With numerous regional and national hobby awards, plus recognition in the fine art world, Nature Heart Studio is "where dreams are painted into reality!" Starting in 2013, a *very limited* number of painting commission slots will be offered to the public. If you are interested in having your special model come to life in my studio, please contact me (Karen J. Lloyd) to get your name on the waiting list. Please see the Commissions page for important details and view the Custom and Artist Resin galleries to see examples of my award-winning work.